A graceful Hindu's temple stand solidly on the giant rock which is overlooking to the wide ocean and the white sand greet the sea waves which comes to beach. The beautiful scenery is not in Tanah Lot, Bali island but it is an spectacular scenery of Balekambang beach in the southern of Malang regency. This beautiful hidden beach is completing the list of incredible tourism destinations in East Java besides Mount Bromo and Batu city. 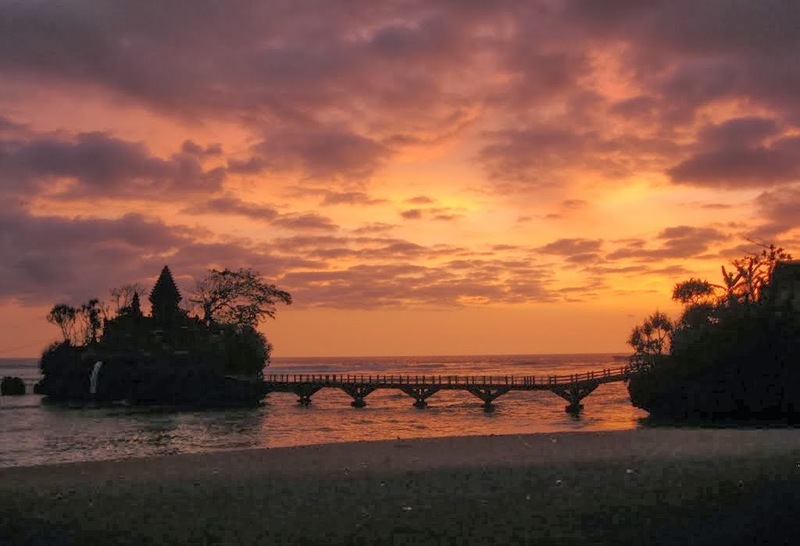 Balekambang beach is located in Srigoco beach, Bantur sub-district, about 70 mile from Malang city. Balekambang beach is marked by three stone islands which is named like puppet character such as : Anoman island, Wisanggeni island, Ismoyo island. Wisanggeni island is connected into the beach and Ismoyo island by the bridge where the lenght is about 100 metre. In Ismoyo island there is a temple named Amerta temple which stand solidly or it also known as Ismoyo temple. This temple has unique and different characteristic between Hindu's temple in Bali. It has beautiful scenery with the bridge which split the wide blue sea, stand strong and solidly on the stone island. Amerta Jati temple or Ismoyo temple was built on 1985 by Malang regent Edi Slamet. It is designed following the Tanah Lot temple which is famed in Bali, this temple also is the holy place for Hindu followers, the place where hindu's ritual implemented. 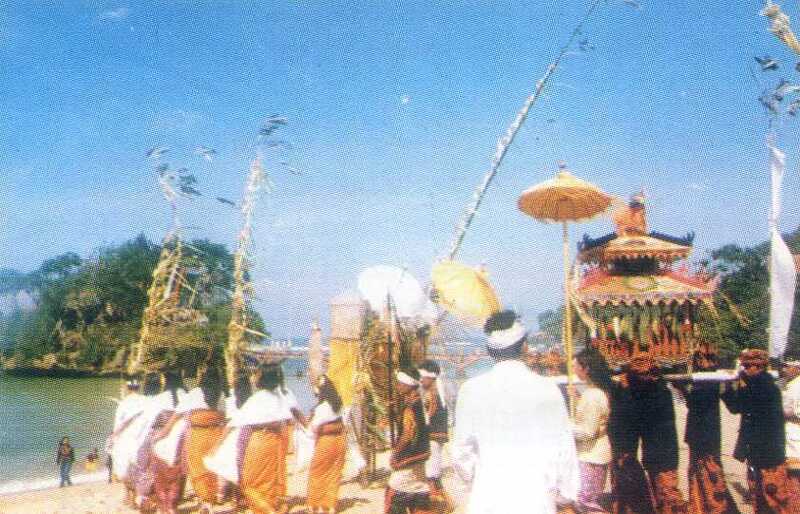 One of the ritual is Jalani Dhipuja which is implemented 3 days before Nyepi holy day, as a part of concatenation to celebrate Saka year or Hindu's new year. The primary celebration from the ritual of Jalani Dhipuja is Jolen Larung, where Jolen Larung is sweeping the offerings to the sea as a symbol to be grateful to God for all God's blessings and to repel the misfortune in the future. 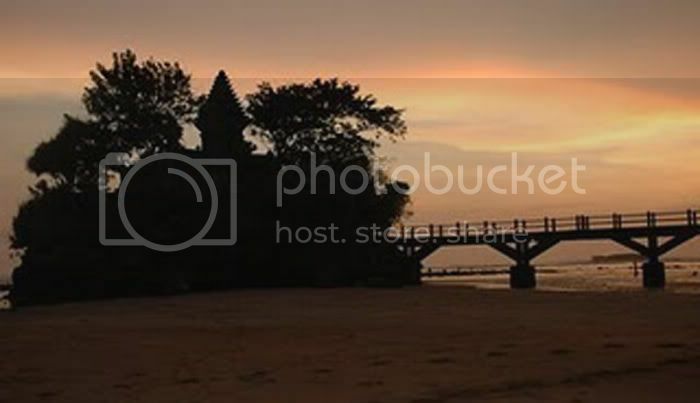 Although the location is remote, Balekambang beach has all facilities required by tourists. Start from food bars, restaurants, coast guards, souvenir shops, public toilets, even simple inns. Balekambang beach with the distance of 70 miles from Malang city is decent beach destination that must be visited. The beach is very beautiful, suitable for recreation place or just enjoying its scenery. The lenght of this beach which is surrounded by the white sand is about 2 miles and it also harmonize with sounds of sea waves. In this beach also there are lined trees as a place for shelter from the sunburn. It makes this beautiful beach as a perfect beach to lie down and release your stress from city rutinity. To enjoy the culture tourism and religious tourism, please come to this beach 3 days before Nyepi celebration. In that day, Jalani Diphujua ceremony is held in Amerta Jati temple where Jalani Diphuja is a concatenation of Nyepi celebration. The ritual is about sweeping the offerings to the sea as a symbol to be grateful to God and also it's a symbol to pray for the safety during Nyepi celebration. Because of the location is remote which is located in the southern of Malang regency, so the best way to reach Balekambang beach is by rent the car from Malang or Surabaya. The travel from Surabaya to Maang needs 2 until 3 hours depend on the traffic condition. From the city centre of Malang, it needs 2 until 3 hours again to arrive in Balekambang beach. There are two alternative routes to reach Balekambang beach. The first route is by take the route of Malang-Kepanjen which will passing Gondanglegi, Pagelaran, Bantur, Sri Gonco village, and the you arrive in Balekambang beach. The second route is route of Malang-Bululawang which is passing Gadang and Kendalpayak until you reach Gondanglegi. From Gondanglegi, you can use the same track like the first route. The road directions start from Malang city and in every primary intersection is already provided so don't worry if you go astray. I suggest you when you approach the location (from Srigonco village to Balekambang beach) you must be careful, the travel path will be slightly wavy and also the road width is narrow. There are some sharp and complicated bends. The scenery in the right and left side is dominated with Teak tree until you reach the entrance to the beach.